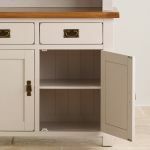 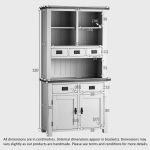 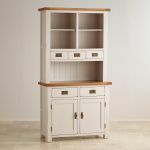 Lots of lovely storage in a beautiful piece of furniture with the Kemble Small Dresser. 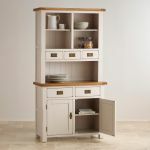 In addition to the two shelved cupboards and two drawers in the base, the dresser top has three smaller drawers, and three shelves for displaying favourite china and glass. 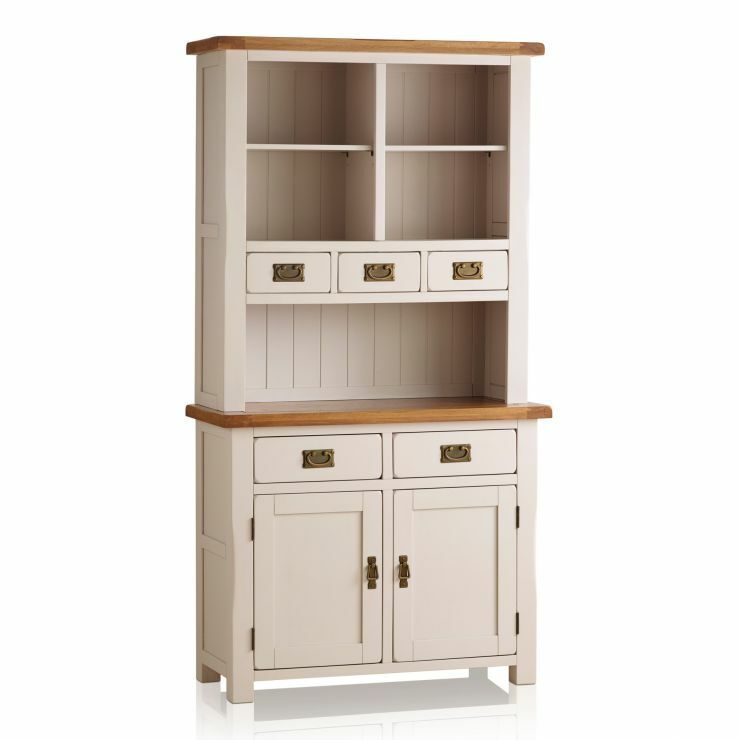 Finished in light putty colour with lavender undertones, the Kemble dresser will add real country chic to your home. 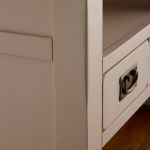 If you are looking to show your ornaments and knick knacks in a stylish way but are a little shy on space then this dresser is for you. Made with solid oak tops with a 100% solid hardwood painted base, this dresser is a gorgeous piece of furniture.